We use things like rotary evaporators and sonic preps to disrupts cells and create different flavours,’ he explains, ‘and I like to keep things fresh, as there may be components that keep developing.’ Despite the precision in preparation, Tippling Club is a relaxed and friendly venue, so successful that it’s about to move into a new home in Tanjong Pagar, Singapore’s Chinatown, into three adjoining and renovated chop houses. Zac, 24, is an Australian who has been based in Singapore for three years, moving to the city state after stints at Der Raum and Black Pearl in Melbourne. ‘I believe it’s important to make drinks that complement the mood and emotions of a customer,’ says Zac, ‘sometimes they just need a bit of help finding the flavours that best suit their palate.’ Whether you call it modernist mixology or molecular gastronomy, Zac is keen on using technology in his preparation of cocktails: ‘so long as it serves a purpose or adds character’, and believes that a knowledge of the classics must come first. A Change of Hue is a champagne cocktail which showcases the citrus flavour and floral characteristics of Ketel One and, as the name suggests, changes colour: ‘customers love a bit of theatrics in the process of ordering drinks’. 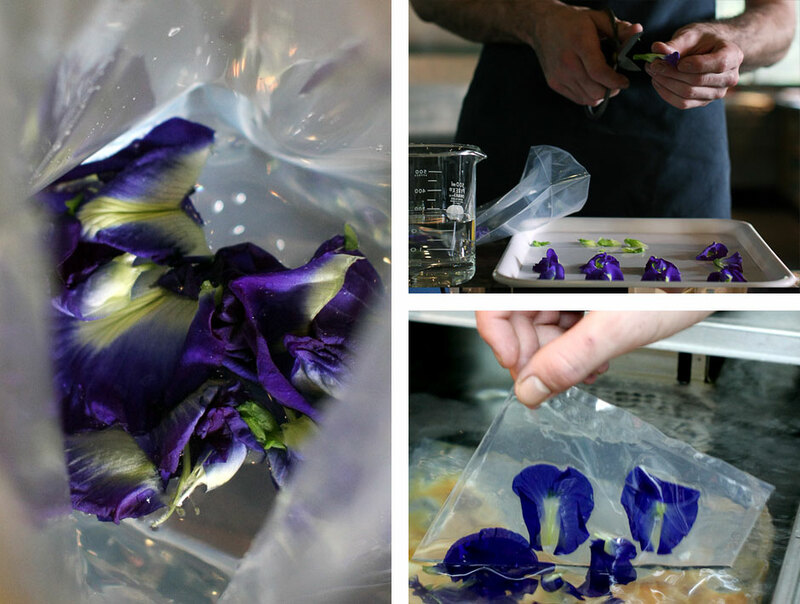 The colour change relies on the pH sensitivity of the extract of the blue Clitoria flowers, which Zac picks in a neighbour’s garden (they grow back every night), in the homemade syrup. 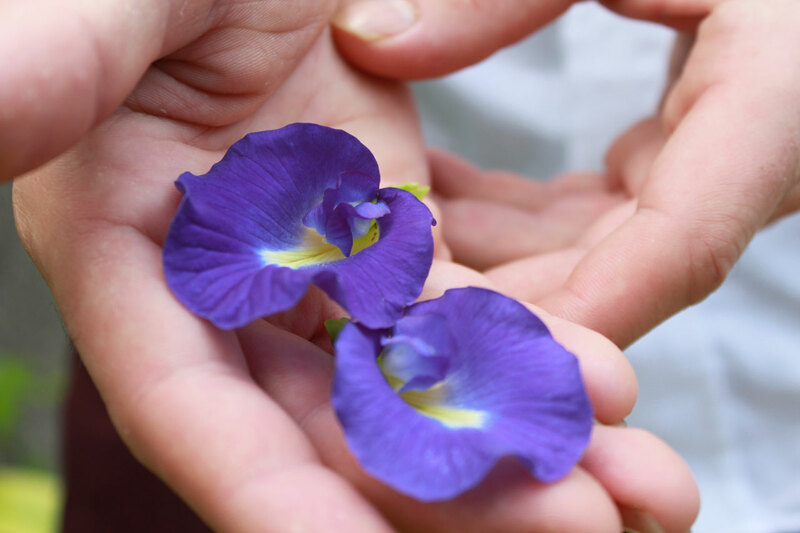 The syrup is made from a tea reduction - you can use Butterfly Pea Tea in substitute if you don’t have tropical climes or such obliging neighbours. The grapefruit infusion is also homemade daily. Typically, the idea came in collaboration with the chef, who uses the flower (a mainstay of local Peranakan cuisine for colouring rice) in his recipes. Stir together all the ingredients minus the syrup. Pour over the chilled syrup in front of the guest. 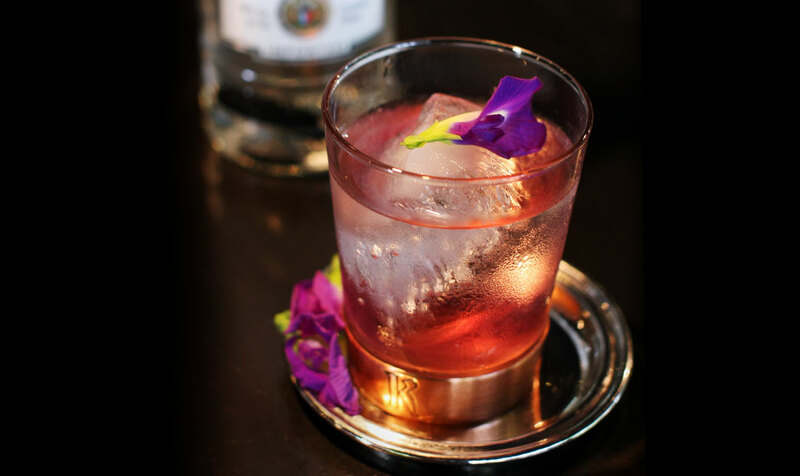 A Change of Hue is light liquid entertainment which awakens the palate with prominent flavours without being overpowering – it encapsulates the magic of molecular mixology in a relaxed aperitif. The creative engineering at Tippling Club seems to match part of Singapore’s own character as a melting pot and something created by man from scratch. 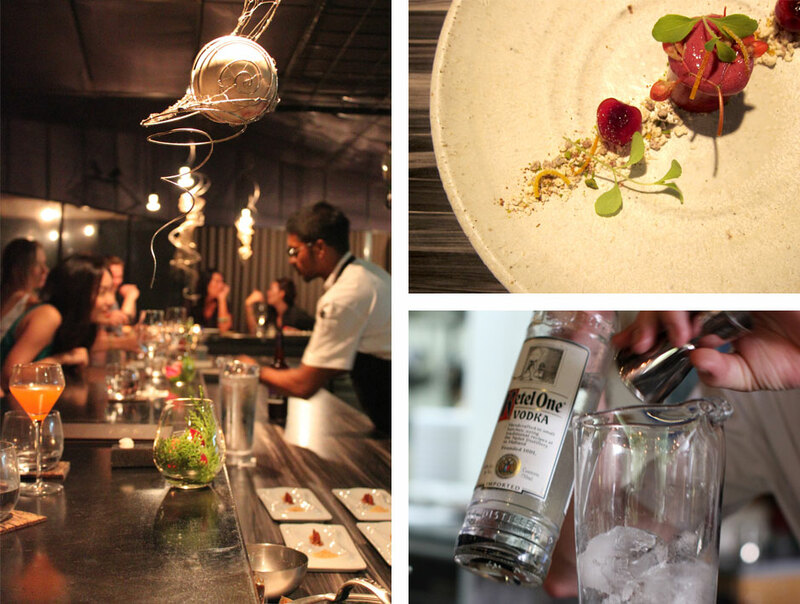 The concept of food and cocktail pairing is also another exciting facet of the venue.